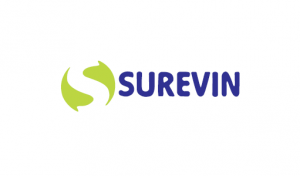 Surevin BPO Services is a certified service provider of IT Solution & Business Services, Outsourcing Services, Digital Solutions and Marketing, Data Enrichment & Management Service, Skill Development & Training Program and HR Consultancy. The company is mainly engaged in outsourcing services which includes Inbound and Outbound Call, Software Development and providing optical fibre cabling to Reliance, Idea and BSNL. It has its business process outsourcing unit, located in the capital city of Madhya Pradesh, Bhopal which has a total carpet area of approximately 28,000 sq. ft. wherein it has devoted 2000 sq. ft. to SQFT Separate Training Centre. In order to meet customer requirements, it is adapting to ISO 9001:2008 and ISO/IEC 27001-2013 quality systems which is valid until May 29, 2018 and July 29, 2017 respectively. It provides a comprehensive range of services to clients in each of its focus industries. The principal services that it provides in each industry are BFSI, Government Agencies, Telecom, Technology and media industries. It provides lifecycle management to our customers, technology and infrastructure services, back office services, HRO Services, Financial and Insurance Services, Telecom and Training etc. Surevin BPO Services IPO allotment status is now available on Sharex Dynamic's website. Click on this link to get allotment status. any idea on allotment status ? ?